CTC only uses top-quality industrial uniforms. We clean and deliver uniforms weekly and always issue the proper number of uniforms to each individual. Our uniforms go through a five-stop inspection system and we replace any uniforms that have become worn. We also repair tears, rips, and buttons at no additional cost. We maintain inventory control for each employee, so our customers know at all times how many uniforms have been assigned. We value quality in our business, and maintain excellent service for our customers. We make sure to provide excellent sales and customer care, constantly aiming towards perfect on-time delivery, customer service, and high grade products. Our uniform service is top-of-the-line for your business. We also have a full line of floor mats and janitorial products to choose from. Our mat services include Logo Mats, Coffee Mats, Greeting Mats, Safety Mats, Scraper Mats, Hog Heaven, and Comfort Floor Mats. The CTC guarnatee: 100% complete and accurate delivery! A CTC representative will pick up your soiled uniforms. Soiled uniforms go into our scanning portal and all uniforms are scanned into the plant. 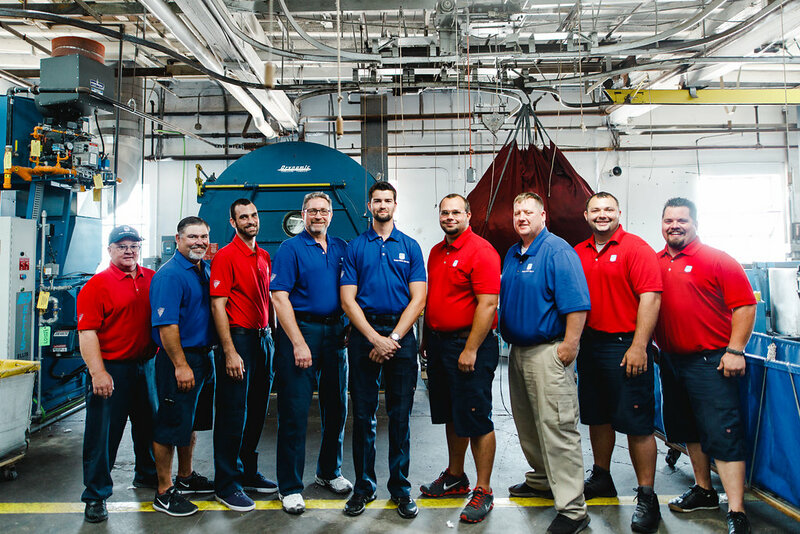 Uniforms enter our washers with our specific wash formula. All garments are put on hangers, inspected, then sent through our steam tunnel, then sorted. Uniforms are thoroughly inspected and all necessary repairs are done. Uniforms are scanned against the original soil scan. In the event a uniform has gotten out of order, the scan will identify a missing or extra item. 100% complete and accurate delivery!